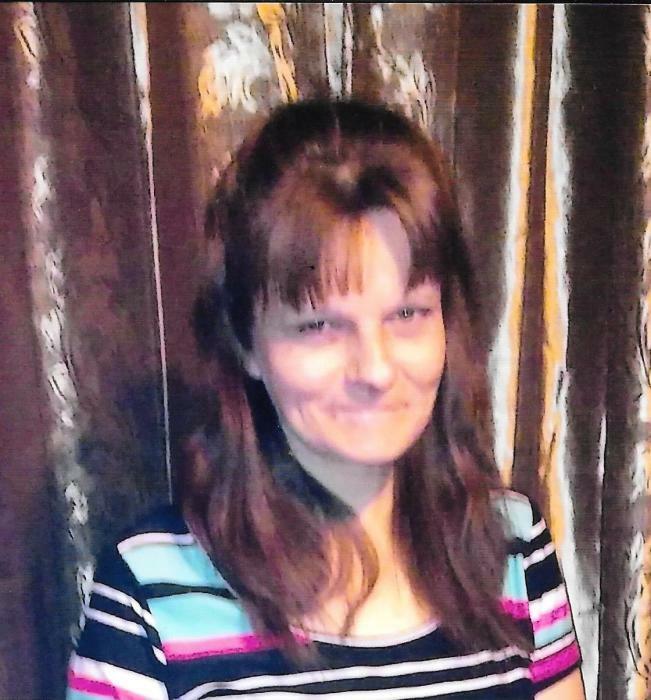 Obituary for Stephanie Faye (Crawford) Goldy | Powell Funeral Home, Inc.
Stephanie Faye Goldy, 41, of 76 Helton Road, Salt Lick, KY, passed away Friday April 6, 2018. Born September 22, 1976 at Carlisle, KY, she was the daughter of Steven Crawford of Carlisle, KY and Janice Estes Crawford of Carlisle, KY and was preceded in death by a son, Jeffrey (J.J.) Goldy, Jr. Surviving, in addition to her parents, is her husband, Jeff Goldy, 1 daughter, Heaven Goldy, 6 sons, Austin Goldy, Chance Goldy, Dylan Goldy, Trevor Goldy, Justin Goldy and Glennis Goldy II and 2 sisters, Erica McCarty and Rachel Crawford. Visitation will be Monday April 9, 2018 at Powell Funeral Home in Salt Lick, KY from 12:00 PM until 2:00 PM. There will be no public service. Powell Funeral Home, Salt Lick, KY will be caring for all arrangements.